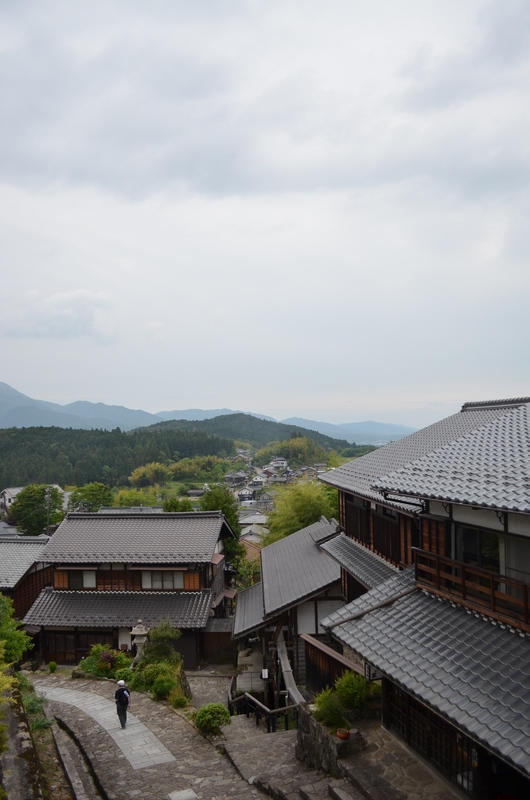 After leaving Tsumago, I headed off to Magome, another little town further south along the Nakasendo trail. Even though there was a slight chance of rain, I decided to risk it. When would I next get an opportunity to do this? 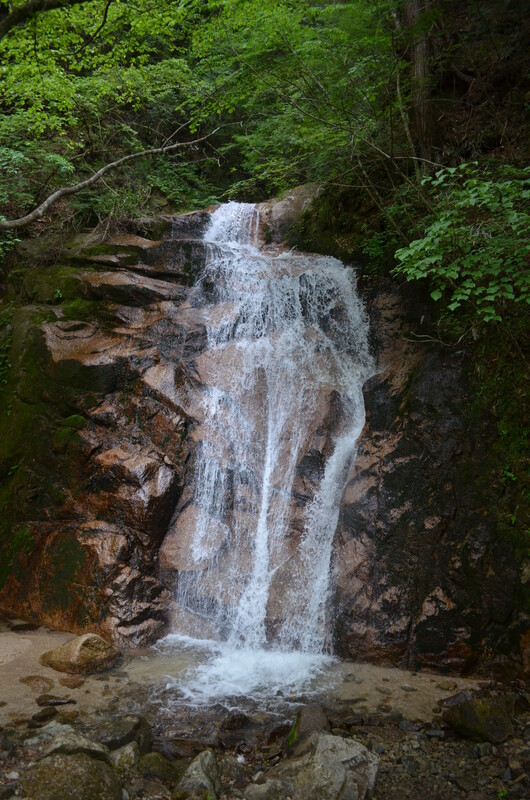 The trail passed by two beautiful waterfalls. 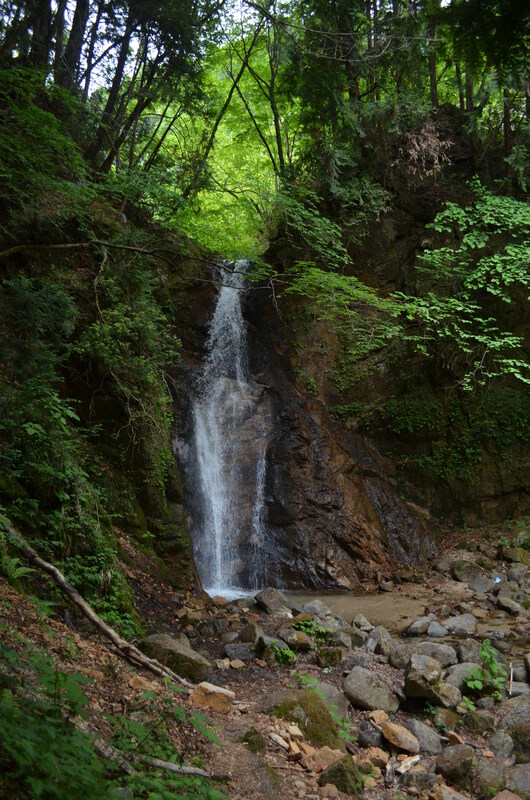 That’s one thing that I still remember about the trail. 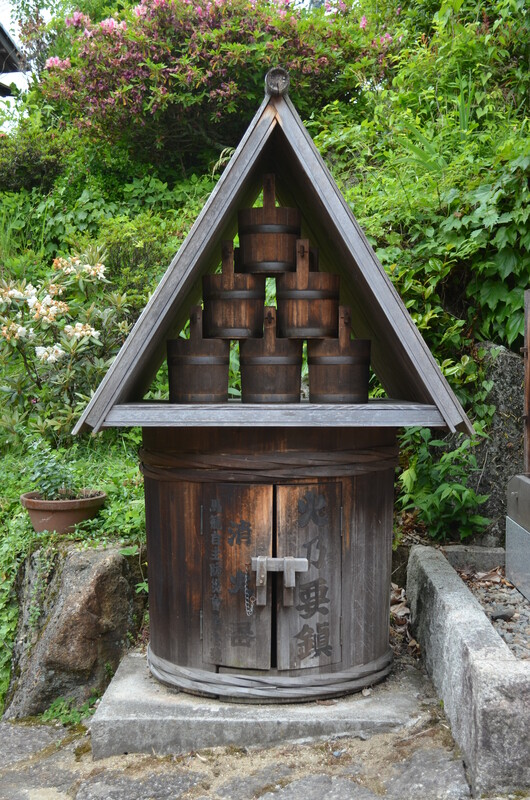 The seemingly everpresent sound of trickling water, round a waterwheel, into a stone handwashing basin, a stream underfoot. 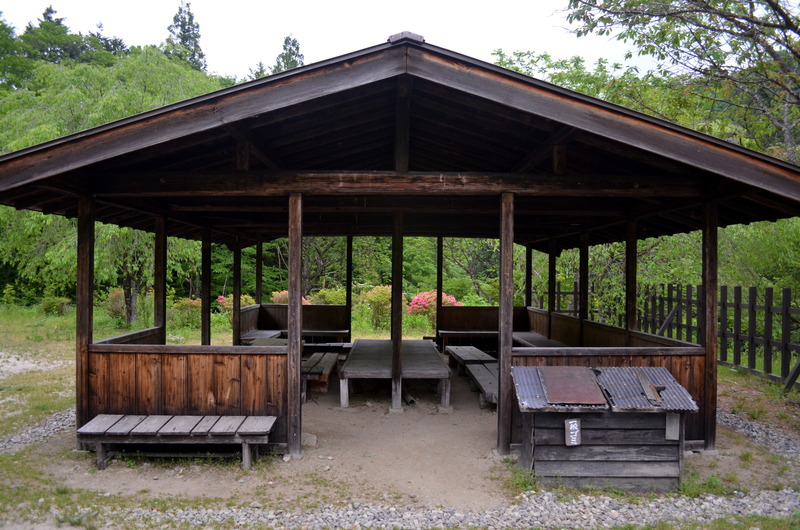 This resting area stood not far from a 250-year-old cherry tree just off the path. Cooler still, I also passed an old tea house about halfway into the trail. 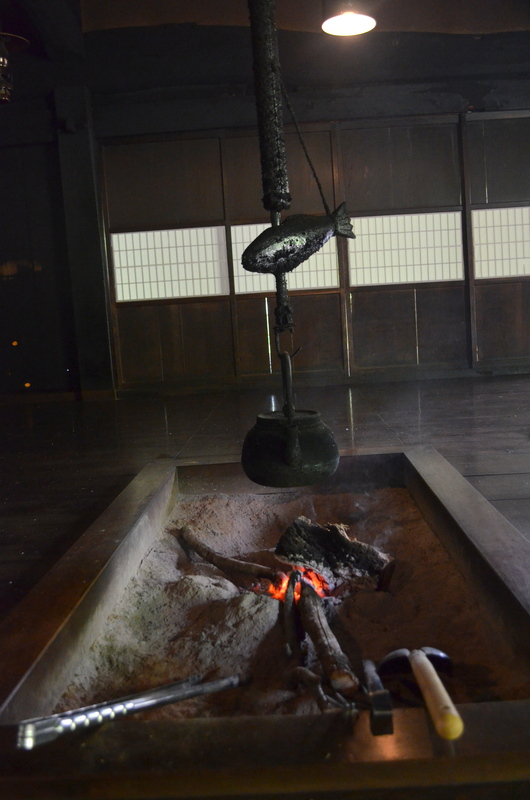 I peeked in and saw this bed of coals, tended to by a single, jolly old Japanese man who was jotting down notes and pouring hot water for a European couple that had stopped in before me. He asked me where I was from and gleefully put a mark down in his notebook. 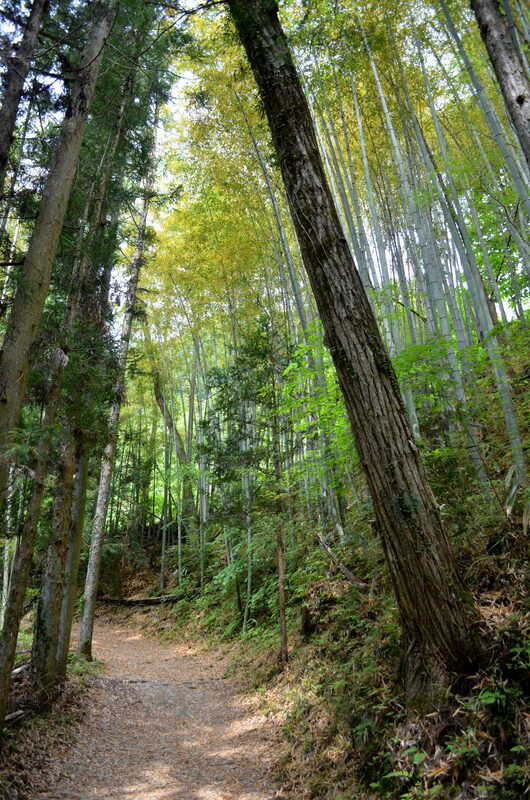 After the brief pause to rest my feet (the elevation climbs about five hundred meters in the approximately eight kilometers between Tsumago and Magome), I was back out on the trail. 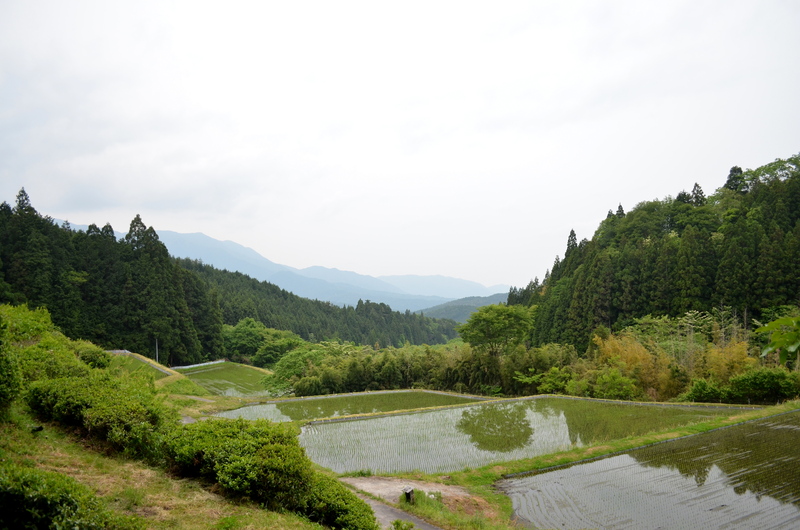 As I neared Magome, the scenery suddenly opened up, shifting from overhead forest canopies to the panorama of rice paddies and the lazy valley lounging in the shadow of Mount Ena. 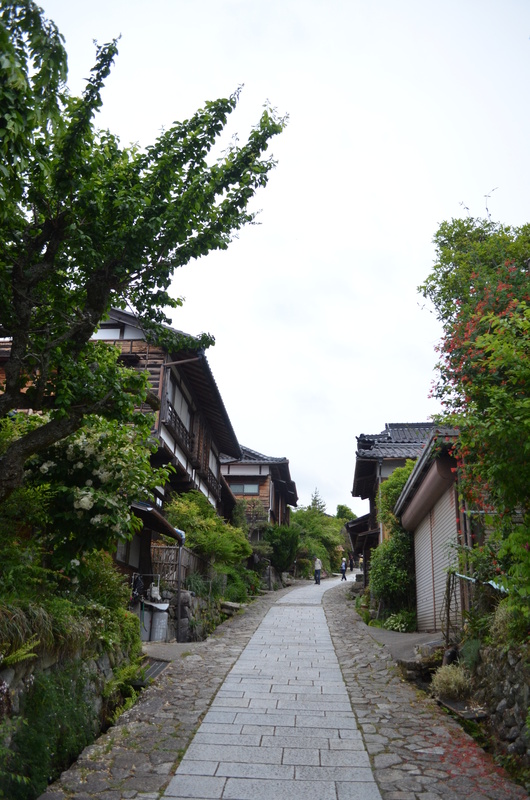 Whereas Tsumago is a relatively flat walk, Magome begins atop a hill, with a stone pathway that descends into town and winds its way down past similar dessert shops and trinket stores, past tea houses and ryokans. Just before I took the bus to Nakatsugawa, I stopped at a simple soba shop that seemed popular with the locals, and ordered a hot soba with one last gohei mochi. The meal, simple in its flavors and ingredients, was a quiet, understated, but deeply fulfilling one. 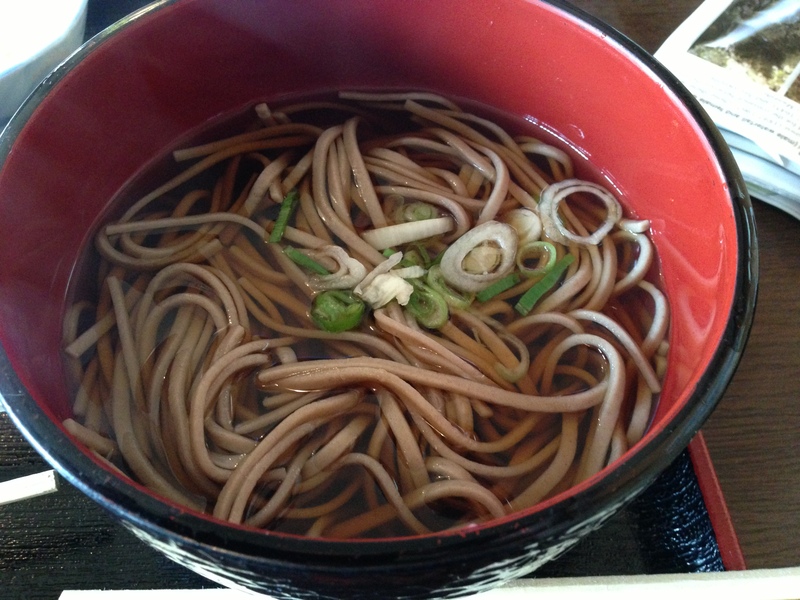 The earthiness of the buckwheat noodles, the steam and lightness of the soup, the hearty ending provided by the mochi balls. 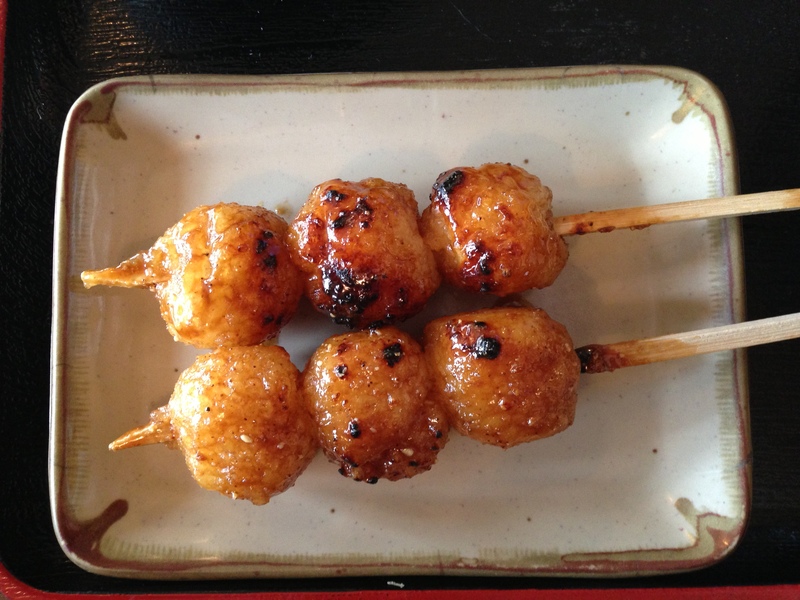 It was a meal elegant and memorable in its purity and simplicity, straight-forward, no gimmicks.